Do you ever dream of living in a mega mansion with a swimming pool-sized bathtub and a guest house that can fit a football team? Of course you do. 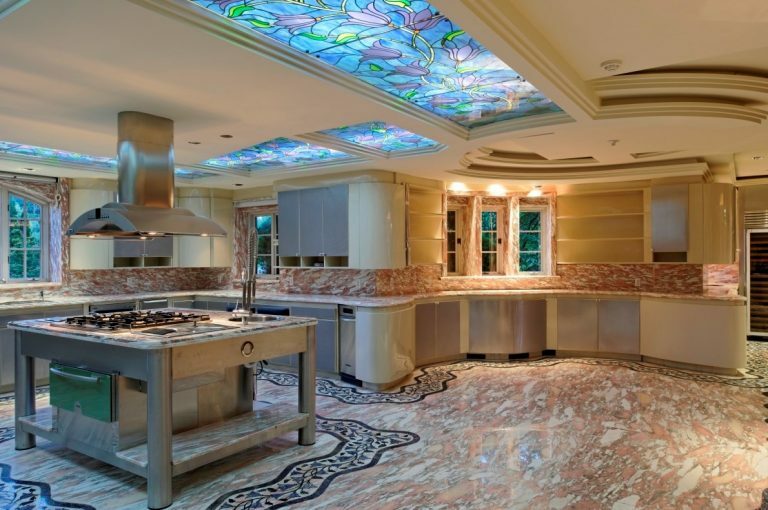 Whether you want to walk the halls where celebs once clicked their heels, or prep a meal in a gourmet kitchen ripe for a Cooking Channel reality show, we've all day dreamed about what we would do with an epic living situation. Unfortunately, most of us won't ever have a few mill to drop on housing. But for the sake of playing pretend, we've got a list of the top 10 most expensive homes on the market in the U.S., courtesy of Point2Homes. This is a once-in-a-lifetime opportunity to get your hands on one of the greatest estates in the world. 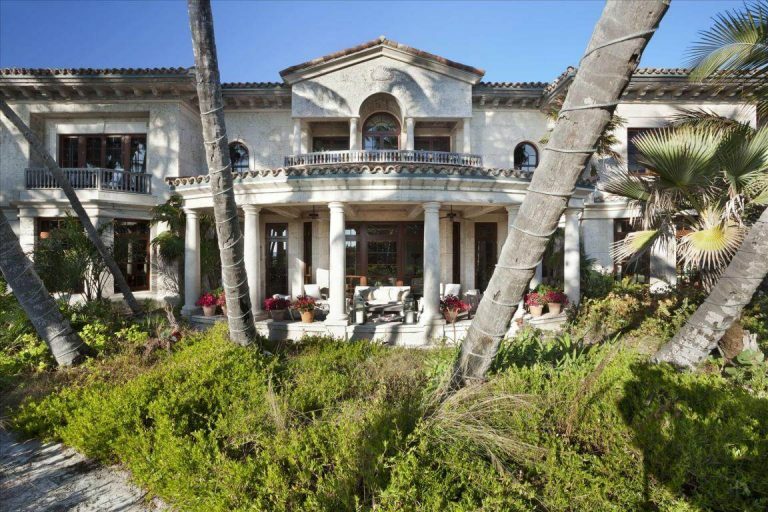 It covers a total of 15.65 acres on the exclusive Barrier Island just south of Palm Beach and it shares a 1,200-foot border with the Atlantic Ocean. It has a staggering 33 bedrooms and 47 bathrooms – more than enough for you to host legendary parties! The setting is a breathtaking botanical oasis which opens out onto a wide sandy beach. And if that doesn’t provide enough recreational opportunities, there’s always the tennis court, the swimming pool and the PGA-standard golf practice area! This Holmby Hills estate is in an area known as the "Platinum Triangle" which has been home to Hollywood royalty for decades, and the Carolwood Dr. address is particularly prestigious – it was home to Barbra Streisand once upon a time. The estate truly is an immense – and immensely stylish – development, with buildings covering 38,000 sq ft. 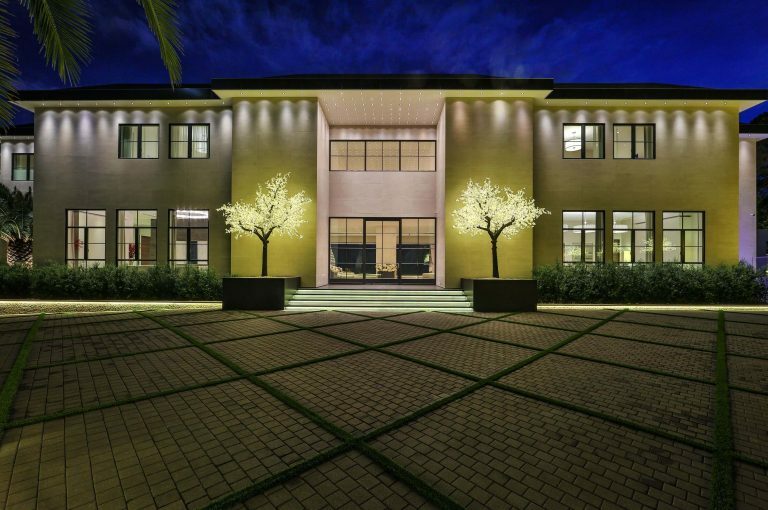 It has 10 beds and 20 baths, a lounge, a wine room and a theater complex, so luxury is never in question. There is also a spa which boasts an indoor waterfall and a lap pool along with steam and massage rooms. As you might expect from the name and the address of this estate, it is a fusion of Beverley Hills good living and Mediterranean beauty. For example, there is not only a state-of-the-art theater and a discotheque, but also a formal garden and a wine producing vineyard. As you would expect, a pool, a spa and sports facilities are available to residents. The architecture encourages both a feeling of opulence and a family vibe which ensures that everybody feels at home. Literally thousands of guests can be accommodated and they will certainly be made to feel very special! 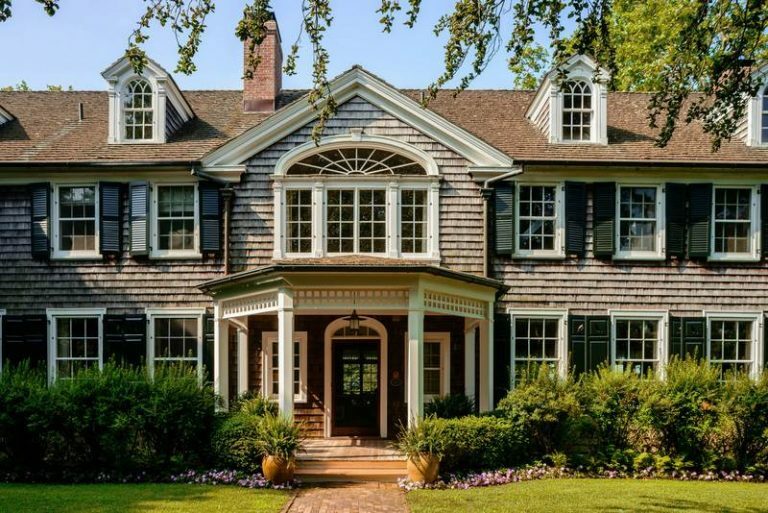 This superb 11-acre estate with its quarter-of-a-mile waterfront is without a doubt one of the most beautiful properties in the Hamptons. It sits on a knoll looking out over Georgica Pond – the coastal lagoon where Bill Clinton had his Summer White House for two years – and there are splendid views of the Atlantic Ocean. The grounds contain century-old trees, a pond and elevated lawns, and they even provide a sanctuary for some rare bird species. 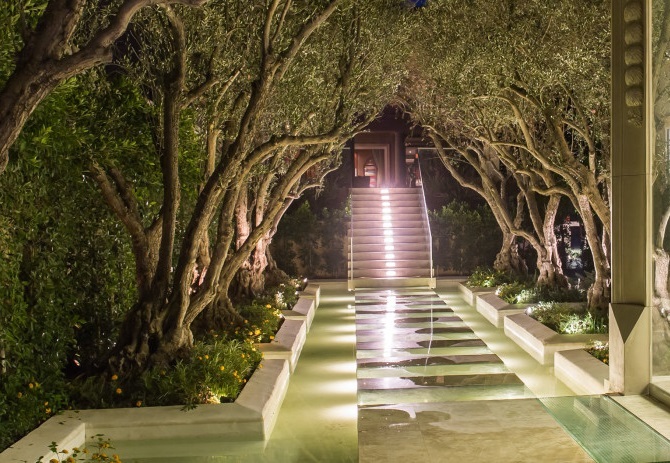 There are 2 residences, both designed by renowned architect Peter Marino, and having a total of 10 bedrooms and 9.5 bathrooms. 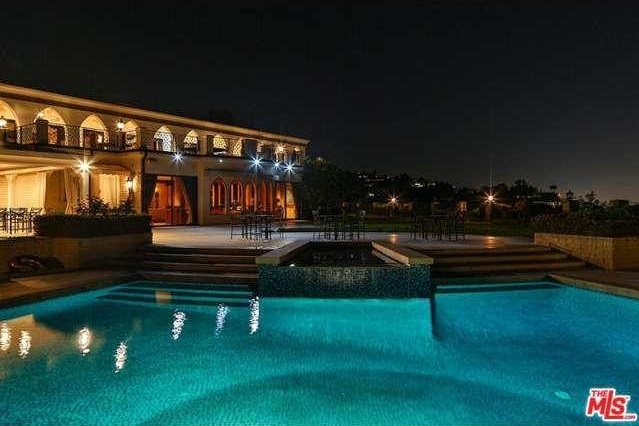 Back in Beverly Hills we have this exquisite estate beautifully located on a 2.5 acre promontory. The buildings cover 18,000 sq ft and feature opulent dining and living rooms, 7 bedrooms and 10 bathrooms, all built with the finest materials and capped off with designer touches such as gold leaf crown moldings and hand woven carpets. The grounds hold a swimming pool and pavilions that are ideal for entertaining and relaxing, and as you would expect from such a location, the views are superlative. 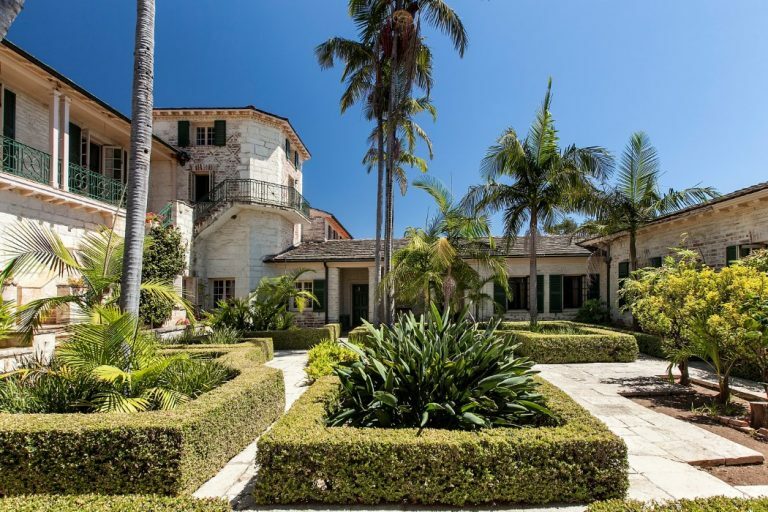 This magnificent property, known as the Rancho San Carlos, covers no fewer than 237 acres and lies near the town of Montecito. The large manor house was designed by renowned architect Reginald Davis Johnson utilizing two natural terraces and locating the living spaces around a gracious central courtyard. Construction has been achieved with brick and pale stones. Needless to say, most of the rooms are palatial and the kitchens are large and well equipped. The grounds include productive orchards and extensive equestrian facilities, and if this wasn’t enough, there are also 10 residential cottages here. 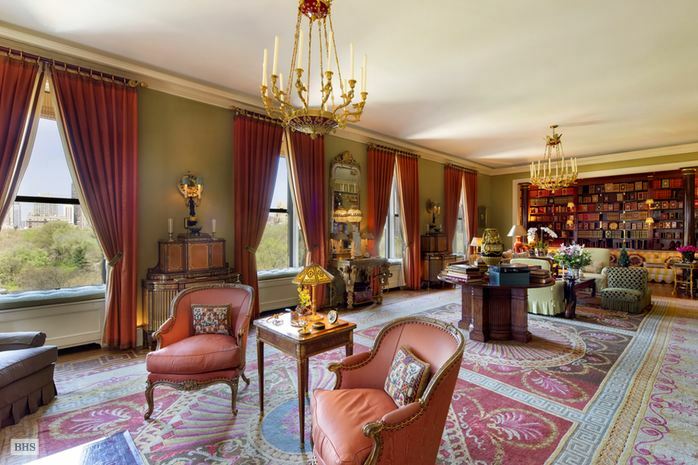 This is the largest original apartment on New York‘s Fifth Avenue and the listing represents a rare opportunity. It is a front corner duplex which is situated on the 7th and 8th floors – which are linked by a grand staircase – and comprises no fewer than 20 rooms that have hardwood flooring, 12.5 ft. ceilings, and original moldings. One thing that shouldn’t be forgotten is the superb view over Central Park. The apartment is considered to be one of the finest works of renowned Manhattan architect Rosario Candela and is part of a cooperative which offers residents a high level of service. 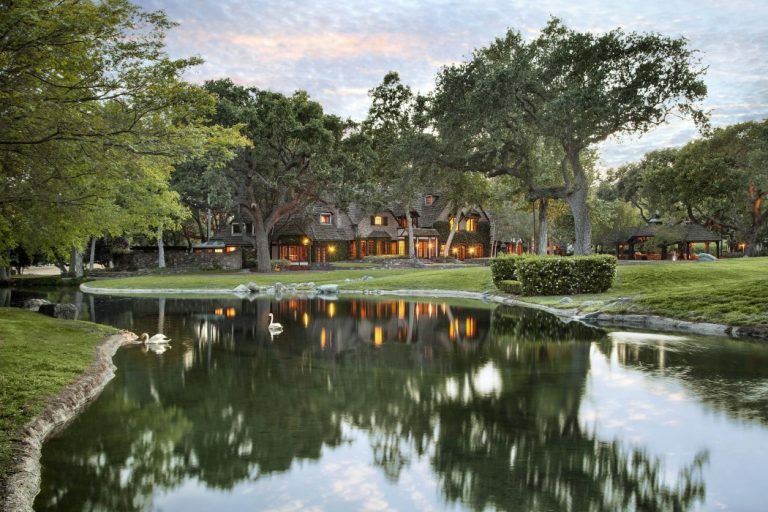 This estate near the town of Los Olivos is now called the Sycamore Valley Ranch, but it used to be known as "Neverland" when it was the residence of singer Michael Jackson. Built in 1982 in a French Normandy style, meticulous attention to detail is in evidence throughout. The gardens have been extensively landscaped and include a large lake with a waterfall, a swimming pool with an adjacent pool house, and a large covered barbecue area for entertaining. The grounds also contain other buildings including three separate guest homes, a large movie theater, barns, corrals and animal shelter facilities. Imagine eight acres of stunningly landscaped grounds which include fountains, elegantly tiled pathways and a private yacht pier. Imagine living somewhere where you have views of both the New York skyline and the Long Island Sound. 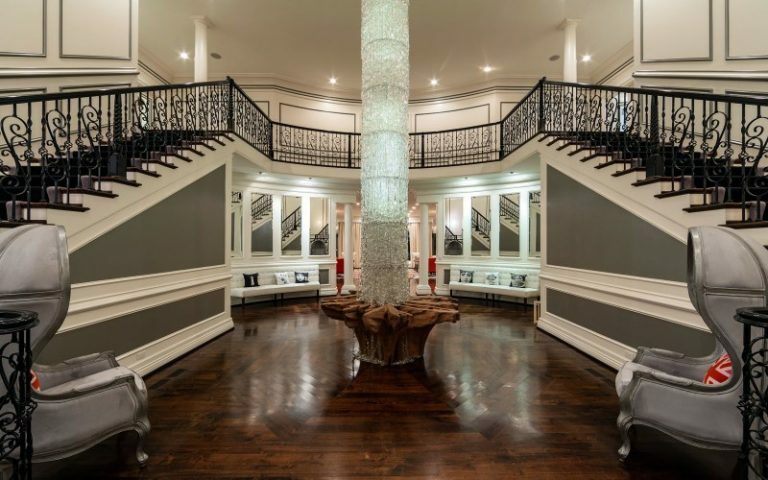 And we haven’t yet mentioned the interiors of the three palatial residences at this Great Neck estate, interiors which feature Smart Home global technology and which are replete with top quality natural materials and exquisite finishes. There are also outdoor and indoor pools, health complexes, games rooms, a bowling alley and even a casino. 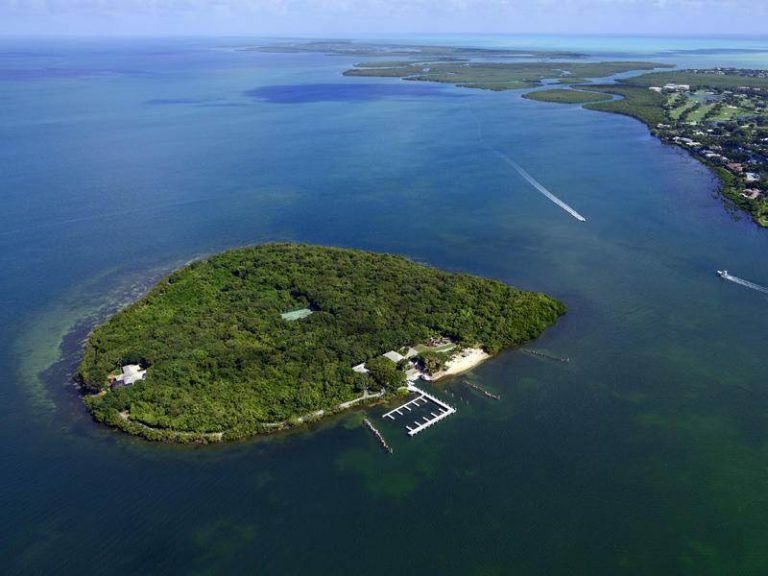 This listing is special – it’s an entire island! Situated in Card Bay Sound in the Florida Keys, Pumpkin Key covers an area of 26 acres and certainly offers privacy, but with Miami’s South Beach a 10-minute helicopter ride and Ocean Reef a 10-minute boat journey away, you won’t feel isolated. There is one main home with three bedrooms, two caretaker’s cottages and a dock master’s apartment. For sailors there is a 20-slip marina that’s big enough for a mega-yacht, and offshore, there is North America’s only living coral barrier reef and some quite phenomenal fishing opportunities. Back in California’s Holmby Hills we have this magnificent 3-acre estate, claimed to be the "crown jewel" of LA’s "Platinum Triangle." It was designed in the 1930s by renowned local architect Paul Williams and luxury is always at the forefront. There are 22 bathrooms to complement the 17 bedrooms, plus a sophisticated bath house and a large movie theater. No fewer than five beautiful gardens surround the residence, and each room gives exquisite views of these. But perhaps best of all, the residence manages to combine two important functions, being both a great place for entertaining guests and a retreat for enjoying family life.